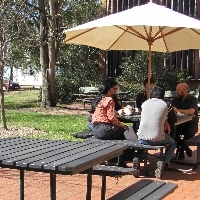 HIAS 2019 will be held from 9 - 13 September 2019 by the Department of Nuclear Physics at The Australian National University, Canberra. The first scientific sessions will start early on Monday 9 September. Note that the University is approximately 15 minutes by taxi from Canberra airport (fare is ~ AUD$30). The conference will close late-afternoon on Friday 13 September. Enquires and questions about HIAS 2019 can be directed to the conference secretary. The Department of Nuclear Physics (map) building will be the venue for some evening meals/activities. University House (map) and Liversidge appartments (map) are located on the south-east side of the University. Attendees are responsible for booking their own accommodation. Attendees should note that the conference dates immediately preceed the very popular Floriade display in Canberra, and alternative accommodation outside the university will require early booking. Note also that block bookings of accommodation for the period 8 - 14 September have been set aside for attendees on the ANU campus at University Accommodation (apartments) and at University House (rooms). The block bookings comprises of a mixture of twin rooms, queen suites and studio, one and two bedroom apartments. 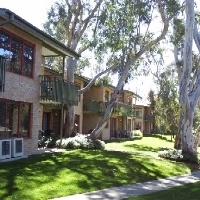 Costs per night start from AUD$181 per night for a twin room (second person in twin room may incur additional charges). Breakfast packages may also be available for a small additional fee. This accommodation is limited and attendees need to book by 28th July 2019. When making a booking on the ANU campus please ensure the accommodation provider is aware you are part of the HIAS 2019 block booking by entering the keyword "HIAS2019" in the Additional Information/Message text box field. Note that cancellation fees may apply.